Since 1963, Cook Medical has been collaborating with physicians to bring new product ideas to market. We are always looking for ways to create solutions to complex problems. This way of thinking has made a difference in millions of patient’s lives. Cook’s collaborative efforts in urology date back almost 40 years. In 1974, Dr. Al Rutner provided Bill Cook with a list of devices to develop. Dexter Elkins, vice president of marketing, remembers those days. The following Cook exclusives are just two of the innovations that have come from physician collaborations. 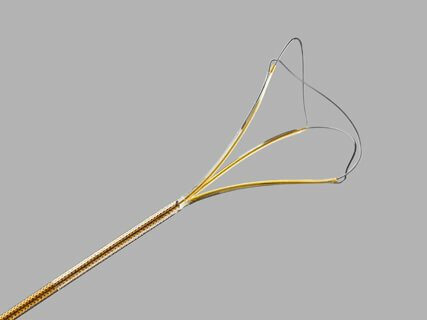 Contact your local Cook Medical representative for more information on these and other product innovations. 1. Lucas SM, Zeltser IS, Bensalah K, et al. 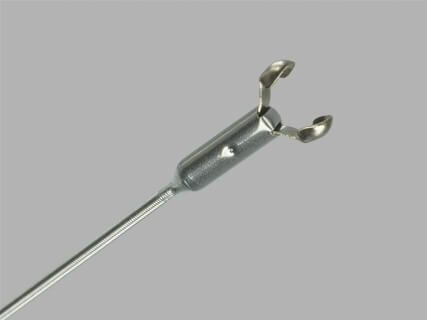 In vitro evaluation of the retention strength of a novel nitinol stone extractor (NGage®) compared to a standard three-pronged grasper. J Endourol. 2007;21(suppl 1):MP33-17.